The Umbwe Route is the trail for trekkers looking for a true climbing challenge. It is a quiet, seldom used path that can be very difficult, yet very rewarding at the same time. This is the route to choose if you want to test yourself on the slopes of Mount Kilimanjaro, far from the crowds that are found on the more common trails. While Umbwe route is a non-technical climb, it does offer steep ascents and requires trekkers to scramble over rocks and tree roots at certain points. It is the hardest and most direct route up the mountain and even features several exposed ridges that are not for the faint of heart. The fitness and stamina of hikers may be tested along the way and it is best for experienced mountain trekkers who are looking for a challenge. Because of it’s steep, direct approach, the success rate on Umbwe route is lower than some of the other routes. To get the most out of this climb, trekkers are encouraged to be as fit and ready as possible, as this is a steady march uphill for the first few days, which is contrast to some of the other routes that make slow, steady ascents or wander up and down to aid in acclimatization. That said, the intense challenge of trekking the Umbwe Route is made up for by the spectacular views. At times, there are stunning vistas to be seen to both the left and the right as trekkers as they make their way up the trail. In fact, the early days of this path have arguably the best views of any part of the mountain, save perhaps the summit itself. Umbwe also happens to be one of the quietest routes up Mount Kilimanjaro too. Because of its reputation as a difficult climb, very few people actually walk this trail, leaving it open and relatively untouched. This helps to give trekkers the feeling that they are the only ones on the mountain until the route merges with Machame route near the Barranco Camp a few days into the hike. From there, it follows the familiar Southern Circuit below the Southern Ice Field before turning up towards the summit from Barafu Camp. As with most Kilimanjaro climbs, the descent is made along the Mweka Route. If you’re looking for the absolutely best views on the way up Mount Kilimanjaro, and you enjoy testing yourself in the wilderness, Umbwe route will provide you with everything you seek, and then some. It is the closest thing you’ll find to a true mountaineering expedition on Kilimanjaro. The questions and answers below are specific to the Umbwe Route. The Umbwe route is one of the shortest routes to the Southern Glaciers and the Western Breach and its the most challenging route on Mt Kilimanjaro. Approaching from the south, the Umbwe route is a short, steep and direct climb. It is probably the most scenic, non-technical route on Kilimanjaro. It is quite taxing, primarily due to the relatively fast ascent to higher altitude, but the rewards are plentiful. Due to the fast ascension to high altitude, this route does not provide the necessary stages for acclimatization. Although the traffic on this route is very low, the chances of success are also low. Good level of fitness is highly recommended. What is the distance of the Umbwe Route and how many days does it take? The exact trekking distance for theNorthern Circuit Route is 53km or 32 miles. The shortest number of days required for the Umbwe Route is 6 days, It’s a Shorter ascents with strenuous trekking days. By the time you have added on arrival and departure days it is 9 or 10. However, as it’s considered one of the Shortest and steepest routes on the mountain it is strongly recommended to be very well prepared and acclimatized to increase your changes of success. 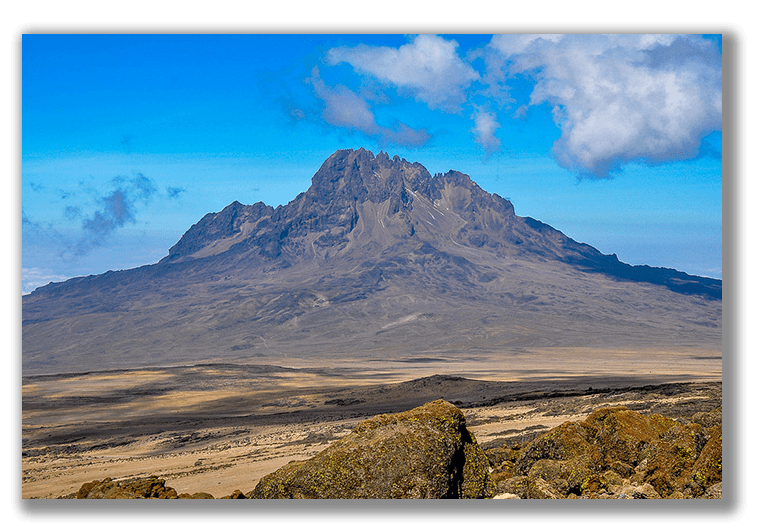 What is the Umbwe Route Summit Success Rate? The Umbwe Route is one of the Shortest routes up Kilimanjaro which has a very poor chance for acclimatization due to it’s steepness and days spend in the mountain. Whilst there are no official statistics, the average success rate across all operators is 70%. However, We have a summit success rate of over 90% for the Umbwe Route! What is the Scenery like on the Umbwe Route? The first two days of the Umbwe Route trek are through tree plantations and then beautiful and rich rain forest, before continuing into the steep Western Breach and Arrow’s Glacier path, scramble up to the Reutsch Crater (5,800 meters) where trekkers spend the night near one of Kilimanjaro’s last remaining glaciers, Furtwangler Glacier. From Crater Camp, one can take an optional one hour hike to Reusch Crater, or simply explore the areas around Furtwangler Glacier. Reusch Crater is a magnificent sight. It is almost perfectly circular and the ash pit measures 400 feet (120 m) deep and 1,300 feet (400 m) wide. This is rarely seen by tourists. When is the best time to Trek Umbwe Route? July-September is the best time to trek the Umbwe Route, as the weather is most stable during this period and encountering rain is less likely. That said, since it is close to the equator it is possible to climb the mountain at any time of the year. April and May is the rainy season so this period is best avoided.